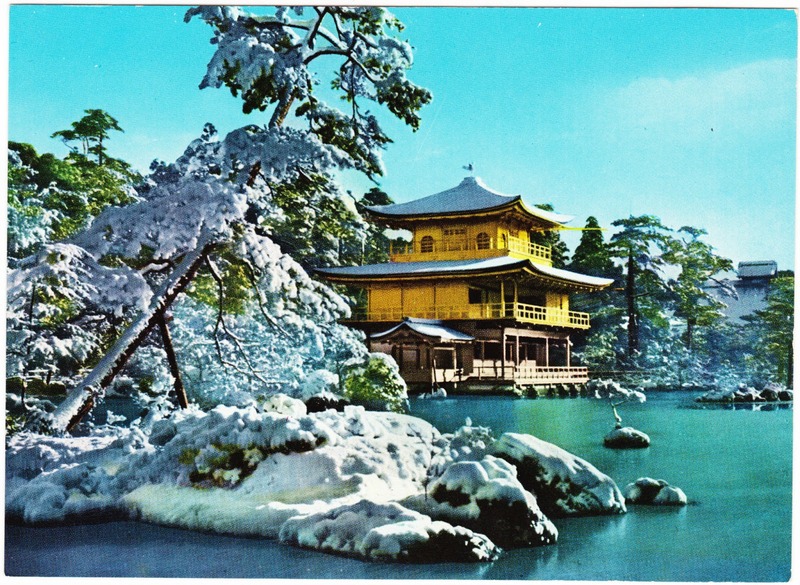 With today being a Snow Day here in the Northeast U.S., here are two wintertime postcards of Kinkaku-ji, a famous Zen Buddhist temple in Kyoto, Japan. The top one is a photo postcard, while the second one is an old illustrated card that was published by Hyogensha Co. of Kyoto. 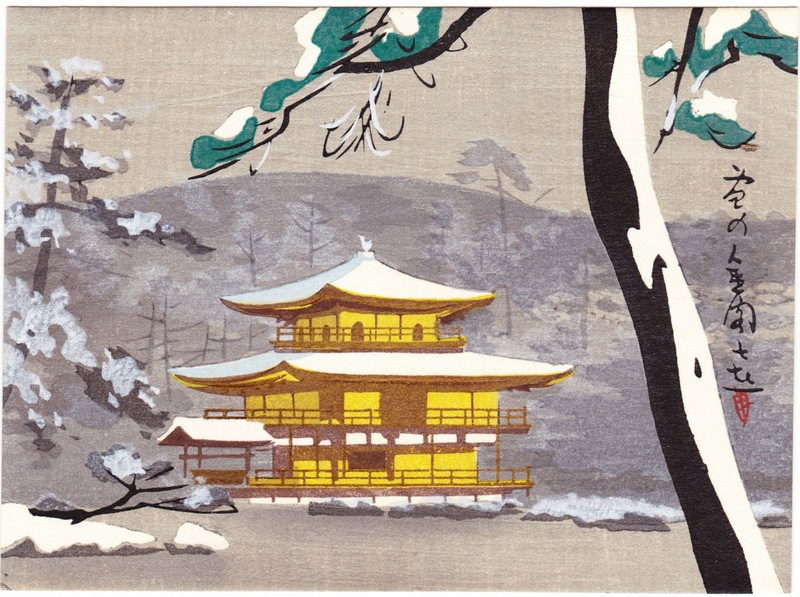 Kinkaku-ji translates to "Temple of the Golden Pavilion." The temple's official name is Rokuon-ji, or "Deer Garden Temple." The site's history dates to 1397, but the grounds suffered extensive damage during World War II and the pavilion itself burned down in 1950. The current pavilion was rebuilt in 1955. A short video about the temple can be seen here.